Great crested grebes are known for their elaborate mating dance. They stretch their neck towards each other, rising out of the water breast to breast. In the spring, you often see them swimming with their young on their backs. 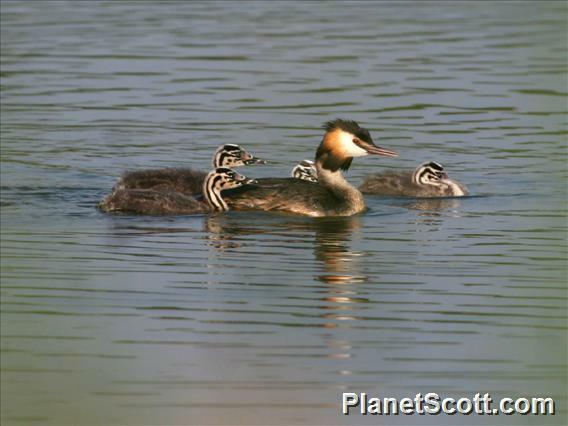 When sensing danger, great crested grebes dive underwater, with the chicks clinging to their back. A ways out there from the western shore. In the first pond as you would arrive from the railway station, I saw a family of the grebe with another single grebe nearby. Local Name: Australasian Crested Grebe.